In a weekend of fury against Bayer/Monsanto the French media has gone on the attack against the powerful company’s lobbying, fake news and bullying tactics. “Let nothing go”: mentioned in the “Monsanto Papers” several times, the name of this media counter-offensive, intended to defend their products tooth and nail in the media or social networks and online forums. The documents put in the public domain by a US federal judge reveal some elements of the operation of this program, but its operator remained unknown until now. According to our information, it is the firm Fleishman-Hillard – one of the largest U.S. public relations companies – which has been mandated in France and Europe to implement the program. 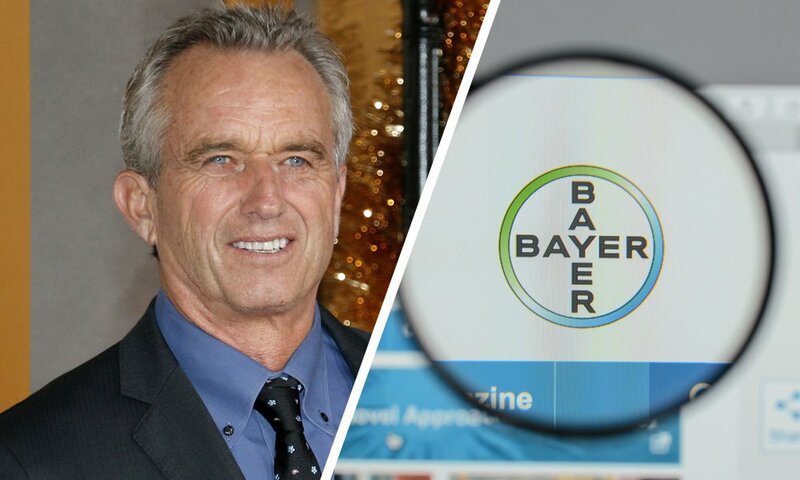 It is intended to promote false public debate on Bayer/Monsanto’s products. “Thanks, Kate,” signed “Sam” at the end of his email. “Kate” is Kate Kelland a reporter for Reuters, the big British news agency. “Sam” Murphey works as Global Head of External Affairs for Monsanto. As an attachment to his email dated April 27, 2017, he attached a six-page document – “information kit” – with each element falsely fueling the impression that the International Agency for Research on Cancer (IARC) deliberately ignored data that could have changed its decision to classify glyphosate as “a probable carcinogen” for humans. 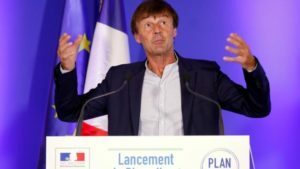 Nicolas Hulot delivers his opinion on Monsanto – “the worst firm in the world”. A new document that we reveal suggests that an ‘independent’ scientist interceded for Monsanto with French agencies in 2012. Objective: to weigh in on the continuation of the sale of its transgenic maize NK 603, following the Seralini study, which showed the dangers associated with the GMO. The chemical-intensive industrial model of agriculture has secured the status of ‘thick legitimacy’. This status stems from on an intricate web of processes successfully spun in the scientific, policy and political arenas. It status allows the model to persist and appear normal and necessary. This perceived legitimacy derives from the lobbying, financial clout and political power of agribusiness conglomerates which, throughout the course of the last century (and continued today), set out to capture or shape government departments, public institutions, the agricultural research paradigm, international trade and the cultural narrative concerning food and agriculture. Critics of this system are immediately attacked for being anti-science, for forwarding unrealistic alternatives, for endangering the lives of billions who would starve to death and for being driven by ideology and emotion. From Canada to the UK, governments work hand-in-glove with the industry to promote its technology over the heads of the public. A network of scientific bodies and regulatory agencies that supposedly serve the public interest have been subverted by the presence of key figures with industry links, while the powerful industry lobby hold sway over bureaucrats and politicians.